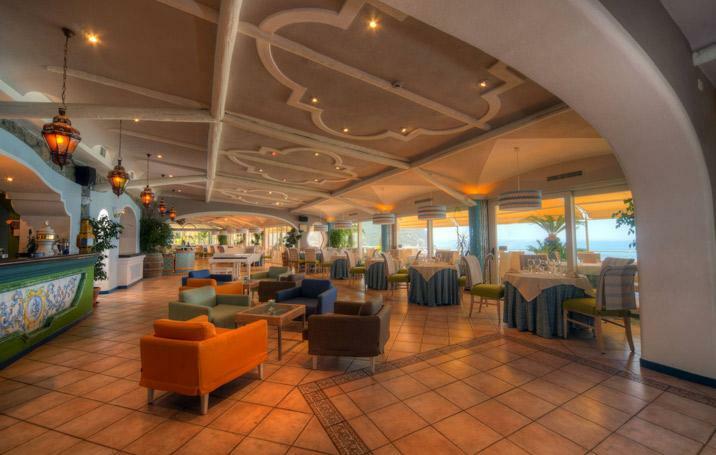 A very panoramic and unique atmosphere, welcoming and pleasanr at the same tim e with a good cuisine based on ancient recipes of the Mediterranean tradition. A wide terrace above the bay of Citara, set of breathtaking sunsets. From the terrace among friends, you can enjoy your relaxing dinner with piano bar-night and drinks. The continue research of new stimulus to form an own menu according to the traditional Mediterranean cuisine. Overlooking the wonderful bay of Citara, it has a wide parking, easy to reach by bus, the bus stop is at 50 m.
It could not miss a step in the weekly program of good traditional cuisine accompanied by live music and the charm of a breathtaking panorama. But OASIS is also a renowned temple of the by-night: the music is a fundamental element to stimulate emotions during a wonderful evening. The sound of piano music will accompany you throughout the dinner to vibrate the pace with engaging classic songs of the Neapolitan culture and then to let loose and wild on the international dance floor by Marco Abate.